We are proud to offer an excellent transport service, taking you from your plane, boat or bus to your destination. Door to door transport in Blenheim and around the Marlborough region. Blenheim Shuttles is family owned and operated by Duncan and Jude McIntyre of Blenheim, Marlborough, NZ. Originally established by Ross Neal, a well known figure from Blenheim, we are continuing the reliable, personal service that has made Neal Shuttle Bus the success it is today. Marlborough has a lot to offer. We know the region well and would love to assist you in deciding what to see and where to visit. 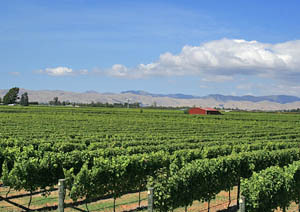 Marlborough is picturesque and well known for its endless sunshine hours and many wineries. Let us help make your time here memorable.